Pinterest has now been renamed Gamera! And she has her own theme song. When she’s not busy fighting monsters in Japan, being featured on MST3K, or being a friend to all children, she is lounging around the house looking pretty damn cute! 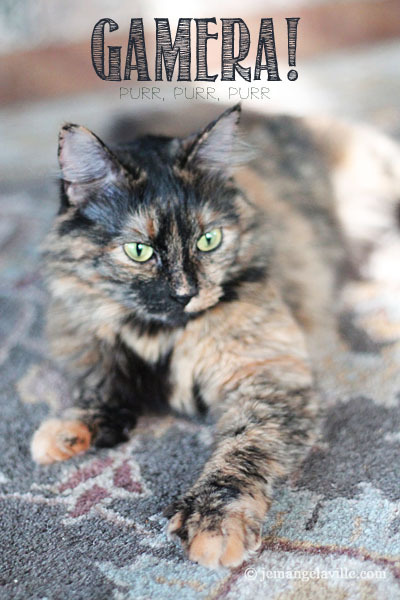 Gamera is a four-year old, medium hair tortoiseshell and also polydactyl ( she has six toes on each front paw). 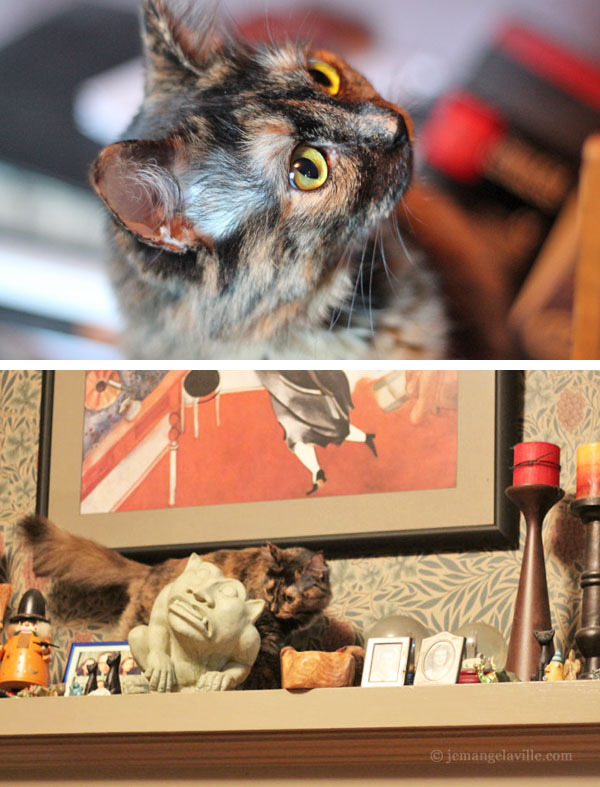 2 comments to Introducing the new cat…Gamera! 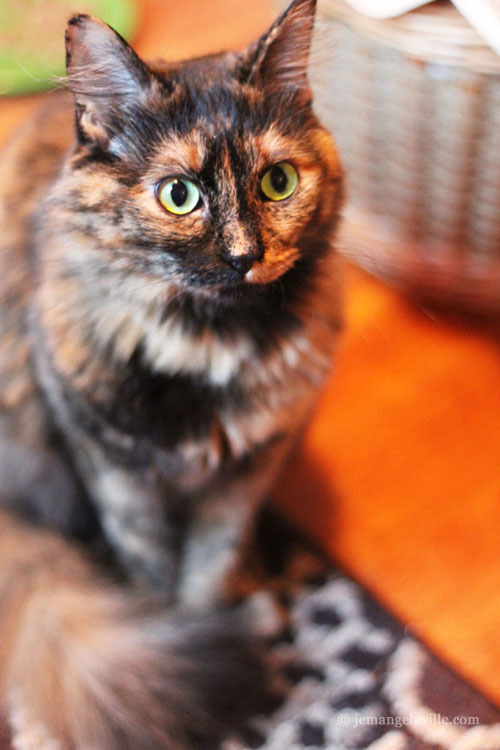 Aw, just look at those eyes! She’s a beauty!